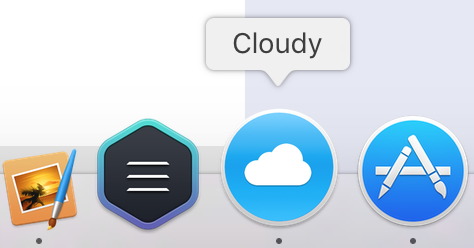 For tech numpties like me, I’d recommend Cloudy (available on the Apple app store). It’s so simple - compared with over-featured and over-complicated apps like Filezilla it’s a joy to use. All you need to remember is to select the files to upload in the left window, hit command+r to refresh them, then click on the upload icon. Simples! I can’t see any downsides! I use Yummy FTP. It’s a really nice program. Cloudy look nice also. This was one of the features I wanted Blocs to add but after using Yummy I’d really rather Blocs just work on its own program. £0.99 v £28.99 = no contest! I guess, everyone has it’s own favorite ftp-app. I use Cyberduck for longer than a decade. It’s easy to use - simply dragndrop your Blocs export folder to your connection - done! Yummy sometimes have 1 day special offers and you have to keep your eyes peeled. I just checked and I bought Yummy FTP Pro from the app store for £1.49 in February of last year. I really like the Yummy synchronise function with uploading that I use all the time and bookmarking is very advanced. Cloudy looks fantastic for 99p if it is reliable and simple. Same FTP here!! I love how simple and clean this FTP Client Cloudy is. Kudos to the developers. Must try indeed! Forklift V3 has just been released with a $20 promotion price. Buying Forklift 2 was one of the best purchases I ever made having used CyberDuck and then Yummy. Forklift is also a dual pane Finder replacement, multi file renamer, uninstaller, etc. However, the big new feature in V3 is the server image preview so you can see your images on the server. Old school here…Fetch. Has shortcuts which takes you right from where you last were…$29. Been around since 1989. My fav FTP app is Transmit, it’s always worked well for me! Perfect for sync, back ups, bootable images etc. The developer promises lifetime upgrades for free. I can confirm, he does. There is a trial version. Isn’t it great that there are so many FTP solutions that start off at crazy low prices. Makes no sense for Blocs to have a built in FTP function. For 99p it’s really clean and simple. Easier than Cyberduck as it has a source and destination dual window. Most people don’t know how good or simple they have it now days, or better yet how exciting and new the web was back then. I still have every Mac I have ever owned and some that I bought from employers that I worked on at jobs. Not to mention my 1st generation 20 gig iPod classic, etc. Flash forward and now days babies almost come into the world equipped with smart phones and netbooks. Pretty soon they will probably be given virtual reality goggles from the moment of birth and never even know what reality is (just kidding). Under Macintosh System 6 & 7, I began to use Fetch then later on Transmit as GUI’s, to this day I still use Transmit. Transmit has been a rock for 20 years. Does the Fetch dog still run while transferring files? I always enjoyed watching it run, while what seemed like endlessly waiting when using dial-up connections. In 1981 I was running Electrosonic’s Esclamp on an Apple ll. We didn’t have glass till 1992. Do you have one of the G4 iMacs with the floating screen? Those are my fav macs of all time! I keep meaning to buy one and refurb a Mac mini into the base. in 1981 I was probably just learning to crawl! I remember my dad having a ZX81 but just for games. The newer Apple keyboards are a very similar design to those old rubber key spectrums. @Norm, no I never had one of those “iLamp” iMacs. I always liked them though aesthetically but always tended to desire the power based desktops with maximum internal expandability. Are their conversion kits to keep the rounded internal ports on those? Its pretty amazing to see the conversions of what people do with various old Macs beyond updating the internals to modern standards, everything from fish tanks, grills, furniture, etc. The first computer I ever saw was some home-brew behemoth when I was a kid. Down the road we had neighbors who had a farm, one time we were over there visiting and their son showed us in the basement his homemade computer, perhaps a hobby or perhaps somehow work related. All I remember was it was multiple floor to ceiling homemade wooden racks filled with ram boards etc., and wires going all over up and down, all driving a 6” to 10” monotone green monitor with only text. I felt like I just stepped into NASA mission control, it was confusing and inspiring at that age. They moved away a few years later, I really need to remember his name and research him. Then came the Magnavox Odyssey 200 console and Pong in all it’s glory, and onward to the Atari 2600. My first actual exposure to using a computer was an early Commodore 64 and Basic. The first Macintosh I ever saw in person was the 512K I think, then years later the Quadra’s. My first personal Mac I ever bought was a Performa, then a little later a super charged PowerMac 7600, and on from there with various pro level laptops and towers. I was a super Apple fan back then when Apple was more of a niche before becoming a mainstream consumer brand. Over the years my feelings for Apple have waned as they seemingly left traditional power users behind with updated models and focused more on general consumers. The fun thing now is there are emulators for all this old stuff, which can be fun. When I were at school we had computing lessons. To write a program, we used a soft lead pencil to fill in small boxes on postcard-sized cards which looked like giant SIMs. I can’t recall the language, but it was probably Latin++. Then we got on a hired-in coach and went to the nearest computer, which was at Nottingham University. We handed over our cards to a man in a white lab coat for processing, and collected the printouts of the previous week’s program.